A critical moment in the Civil War, the Battle of Shiloh has been the subject of many books. 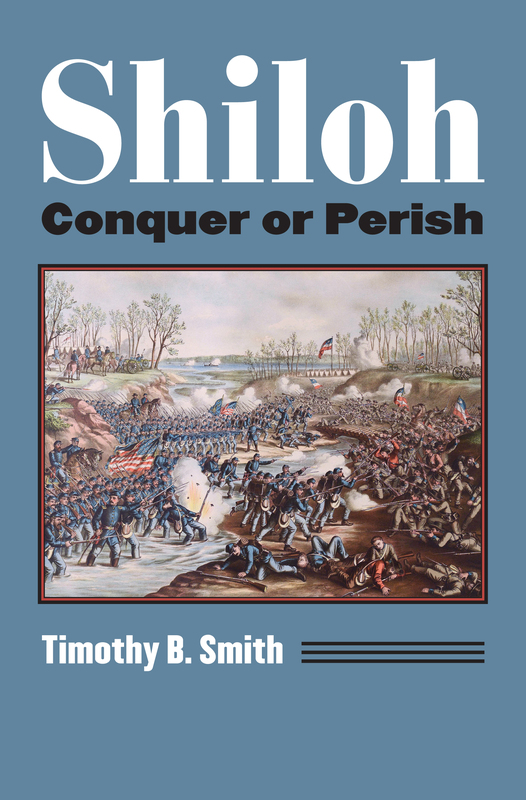 However, none has told the story of Shiloh as Timothy Smith does in this volume, the first comprehensive history of the two-day battle in April 1862—a battle so fluid and confusing that its true nature has eluded a clear narrative telling until now. Unfolding over April 6th and 7th, the Battle of Shiloh produced the most sprawling and bloody field of combat since the Napoleonic wars, with an outcome that set the Confederacy on the road to defeat. Contrary to previous histories, Smith tells us, the battle was not won or lost on the first day, but rather in the decision-making of the night that followed and in the next days fighting. Devoting unprecedented attention to the details of that second day, his book shows how the Unions triumph was far less assured, and much harder to achieve, than has been acknowledged. Smith also employs a new organization strategy to clarify the action. By breaking his analysis of both days fighting into separate phases and sectors, he makes it much easier to grasp what was happening in each combat zone, why it unfolded as it did, and how it related to the broader tactical and operational context of the entire battle. The battlefields diverse and challenging terrain also comes in for new scrutiny. Through detailed attention to the terrains major features—most still visible at the Shiloh National Military Park—Smith is able to track their specific and considerable influence on the actions, and their consequences, over those forty-eight hours. The experience of the soldiers finally finds its place here too, as Smith lets us hear, as never before, the voices of the common man, whether combatant or local civilian, caught up in a historic battle for their lives, their land, their honor, and their homes. We must this day conquer or perish, Confederate General Albert Sidney Johnston declared on the morning of April 6, 1862. His words proved prophetic, and might serve as an epitaph for the larger war, as we see fully for the first time in this unparalleled and surely definitive history of the Battle of Shiloh. Timothy B. Smith served as a park ranger at Shiloh National Military Park for six years and now teaches history at the University of Tennessee at Martin. He is the author of eleven books about the Civil War, including Corinth: Siege, Battle, Occupation (also from Kansas), which won the Fletcher Pratt Award and McLemore Prize.